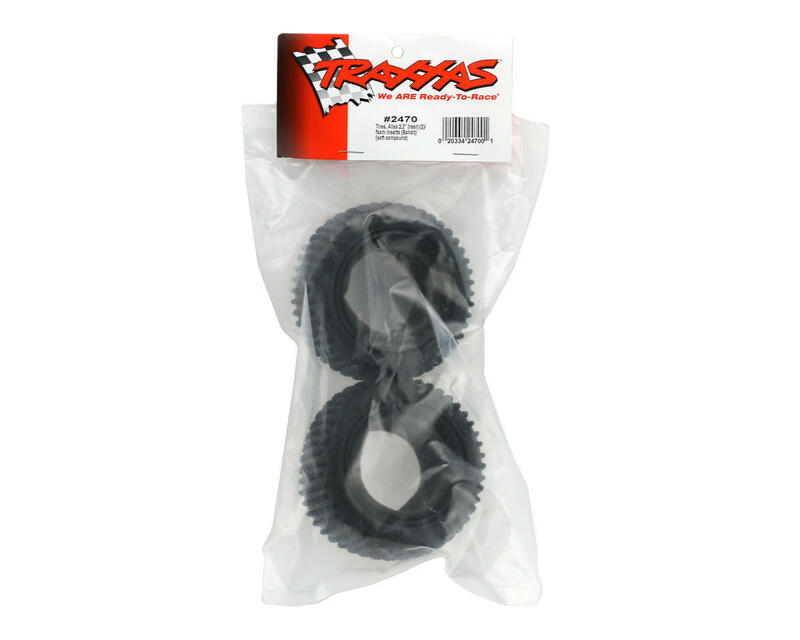 This is a set of two Traxxas Rear Alias Tires, pre-mounted on Tracer 2.2" Wheels, and are intended for use with the Traxxas Bandit. Whether racing on a track or tearing across a back lot, Alias tires are the perfect choice. The Alias features a non-directional design for no-hassle, no-worry mounting. The Alias rear tires integrate a rounded carcass and dual pin design that steps-up to keep the tires firmly planted on extreme off-road terrain. This tire combination is ideal for use on grass, loamy dirt, sand, and any other loose surface. The Alias tire is molded in a super soft rubber compound that supplies exceptional grip on asphalt and other hard packed surfaces. 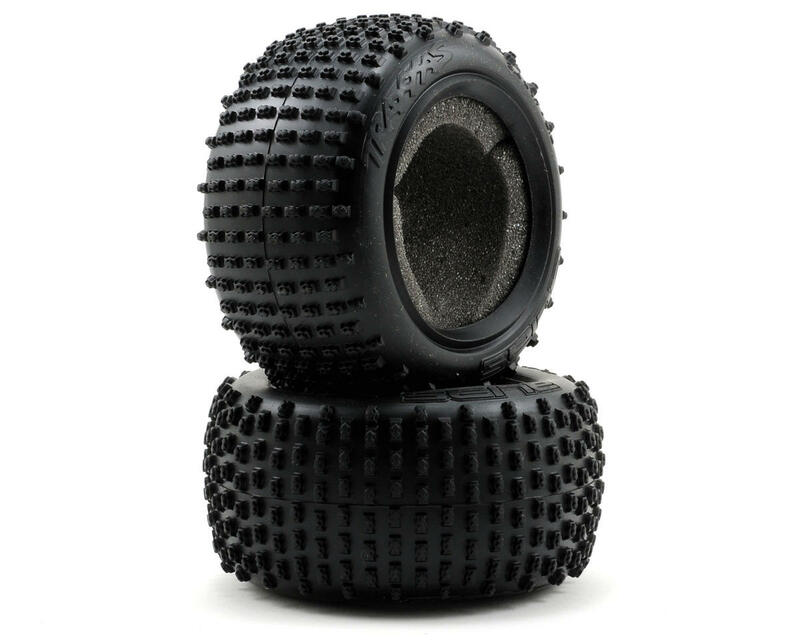 The Alias is a versatile tire that is at home on the track or in the backyard. Choose from Chrome, or Black Chrome Tracer wheels.